"Kazuo, a haplessand aimless young man, happens upon a demonstration of an old guru's mystical powers and feels--for the first time in his life--a sense of purpose. He impulsively joins the guru's sect and is swept up into life in a religious order. 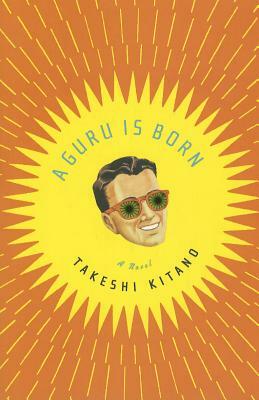 The guru's right-hand man Shiva and Youth Group director Komamura have completely opposite views on faith and what the purpose of their order should be, and Kazuo has his eyes opened to the fact that behind the order's pious fa=cade lies towering egos, financial trickery, betrayal, backstabbing and seduction.
" --P.  of cover. *Author: Kitano, Takeshi/ Laabs, Dawn T. (TRN) *Publication Date: 2012/06/05 *Number of Pages: 188 *Binding Type: Paperback *Language: English *Depth: 0.50 *Width: 5.50 *Height: 8.25. There's no greater feeling than getting the perfect item with the most features at the lowest price. When you purchase this A Guru Is Born By Kitano, Takeshi, you can be confident that you've found the best deal available online. Our everyday marked-down price is $14.23, $0.71 less than the retail price you'd pay at most stores. UnbeatableSale.com offers domestic shipping options for your convenience and even ships to many international locations. At UnbeatableSale.com we are committed to protecting the privacy of our customers and using personal information responsibly.